Tuberculosis (TB) is a serious disease which attacks the lungs and can lead to death if not properly treated. It is spread by breathing in germs from an infected person and can be caught by anyone. The only way to find out if you are infected with TB is to have a PPD skin test. The test is quick and painless. Results are available in two to three days. 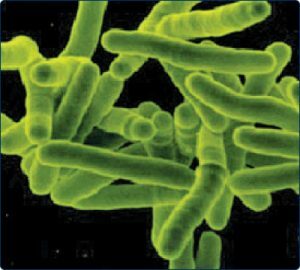 If you are from a country in which TB infection rates are high, have recently come in contact with active TB, are HIV-positive, or have symptoms of TB (weight loss, loss of appetite, fatigue, cough, night sweats), then a PPD skin test is recommended. The Tuberculosis Control Clinic provides case management and Directly Observed Therapy (DOT) for persons with suspect or active TB. The clinic also provides follow-up and preventive therapy for individuals with Latent Tuberculosis Infections (LTBI). Routine TB skin testing for work or school can also be provided through our clinic.